Do you want a career working to save wildlife or the environment? Or maybe you’re not sure what you want to pursue as a career, but you love animals and nature? This section is designed to introduce you to the diverse field of conservation. There are many different kinds of careers in conservation – everything from animal trainer to graphic designer to volunteer coordinator – and they’re all open to teens like you. 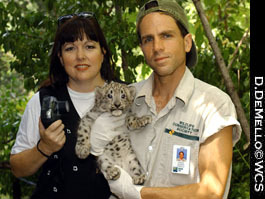 Click on the links in the side bar to meet just a few of the many people who are working in conservation with WCS. You’ll learn what they’re doing, how they got there, and why they think their work is important.